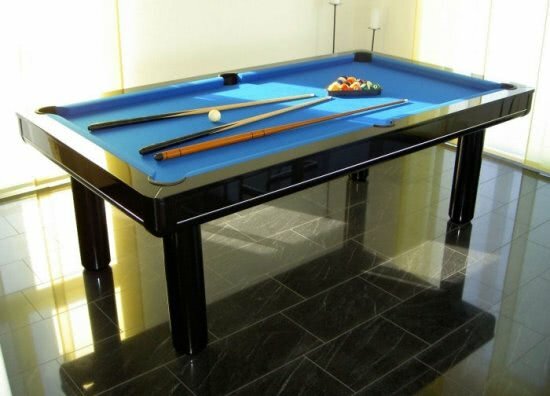 Luxury pool table with dining top - available in different finishes and cloth colours! Streamlined, modern design & lacquered veneer. 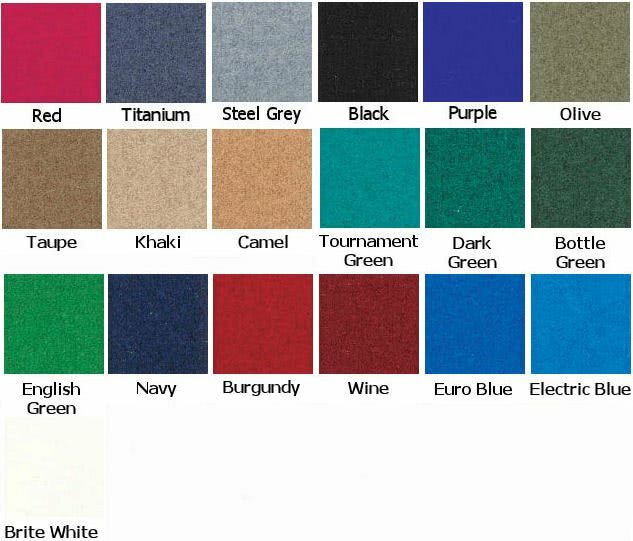 Supplied with dining table top. The Elegant is part of the Longoni range of tables that are dedicated to providing the player with only the finest equipment available! With the production expertise of their European factory the Longoni Elegant is renowned for being made from the very best materials; wood, metals or Formica - there is a history of twenty six years celebrated performance. The Longoni Elegant is a streamlined, modern design that has been constructed from MDF with a lacquered black veneer - either a Matt or gloss finish - and has been edged in brass to really emphasise the clean lines. The Elegant also has tubular legs instead of the usual square or turned legs that you associate with home tables. Add to this a sectional top that will transform your gaming table into a classy dining table and you have a truly beautiful piece of furniture that will be the centrepiece of any room.